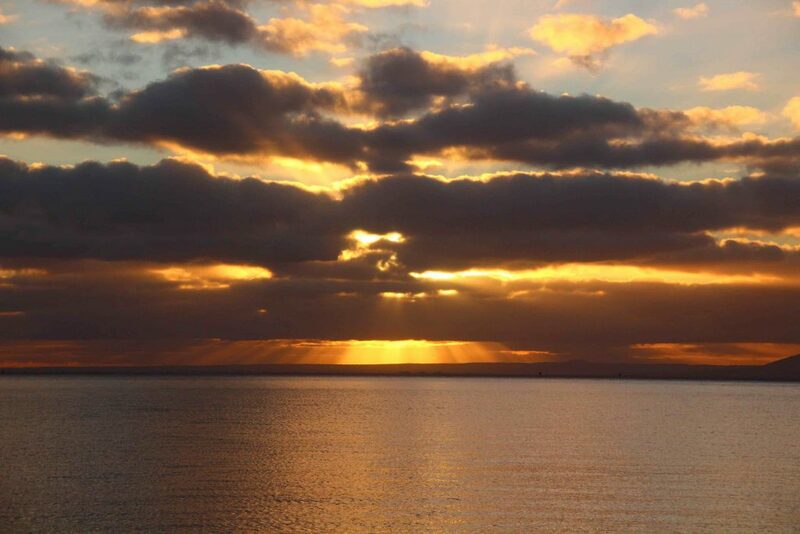 As you may have noticed Capt G and I, aboard Roo Bin Esque, are still down south in Port Phillip Bay. Like migratory birds most yachties head north for the winter months, but this year we decided to try something a little different. Having lived in Cairns for 16 years, and we still call it home, we’ve had our fair share of balmy winters. Since our mission is to explore the paths less travelled we decided that a winter in Victoria would be a challenge. The first thing we needed was heating and thankfully Roobi comes with air-conditioning -which we’ve never used before. I can report it warms the boat up beautifully! The next things we needed were thermal underwear, a coat or two, gloves, beanies, boots and jumpers. Now we look the part we’ve been out and about exploring – although contrary to Melbourne fashions we’re not dressed head to toe in black. Today when we dropped anchor at Portarlington it struck me what was different about a southern winter. As a Queenslander I’m used to seeing people on the beach in winter because half of Australia heads north for some warmth. Down here we have the beaches to ourselves. No colourful umbrellas, no beach towels, no sharp smell of sunscreen, no screams of delight from small children, no dogs barking, and no suntanned lifeguards. Instead there are clusters of dog-walkers sheltering behind trees or cars, their beanies pulled low. The seagrass has been washed up in swathes by the recent heavy weather. Dragging the dinghy ashore means my toes take half an hour to defrost. And there’s no suggestion at all of swimming ashore! Yet it has its own beauty with the bare branches of trees turning silver with the sunset. The colours of the sunrises have been magnificent some mornings, keeping me spellbound even as my fingers stop being able to feel the camera. The wind can bite, stinging our eyes, but it can also cast a swirl of orange leaves into the sunlight stopping me dead in my tracks. We’re headed for Queenscliffe tomorrow and Swan Lagoon. 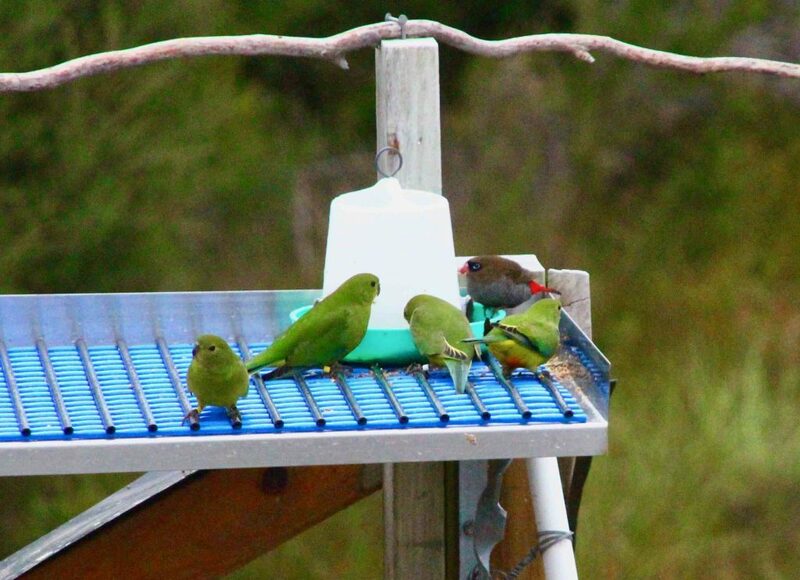 While we were in Tasmania at Melaleuca we saw the endangered Orange Bellied Parrots just before they headed north. Turns out they migrate to Swan Lagoon so we’re hoping to see the little fellas again in their winter home. Seems we’re not the only ones taking the path less travelled! Look up towards the Grand Hotel Portarlington. The endangered Orange Bellied Parrots. Blog, Sailing Adventure, Australia, Geelong, Migratory birds, Orange Bellied Parrots, Penguin Books Australia, Return to Roseglen, Roo-Bin-Esque, sailing, Taking, Taking the path less travelled, Victoria, Winter, Wintering south. permalink. Winter here is an experience, is it not?! Ice on the windscreen this AM, as the roaring fire in the fireplace was left behind to run early errands. Glad you deviated from de riguer head to toe black, just to liven the place up a bit. Went to QVM the other day wearing a rather bright blue, albeit tastefully hued bright blue,winter jacket and stood out like a beacon, making it easy for Simon to spot me. 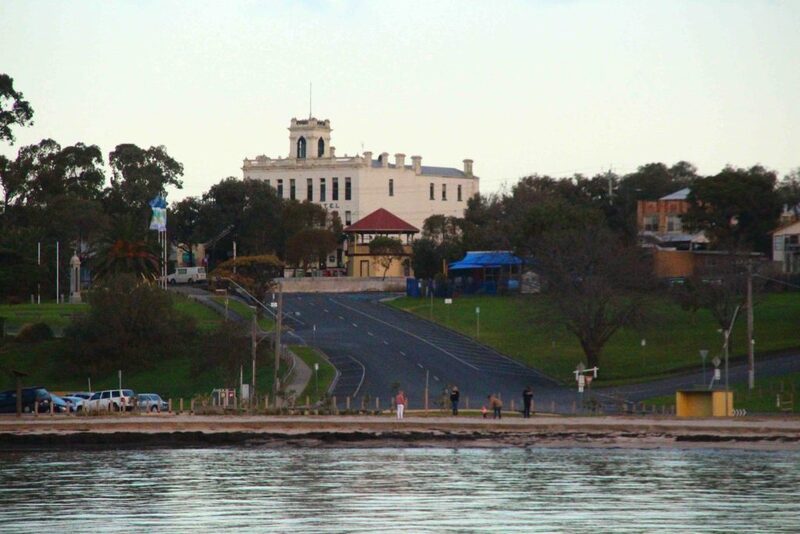 Keep warm, enjoy Queenscliff and keep us updated on your adventures..
Oh my goodness! We have had ice on Roobi’s decks yet but that will be memorable! Love your bright blue jacket choice – you would definitely have stood out in the crowd! I know they all look very chic but I do miss those tropical North Qld colours! And yes, I occasionally wear my black pants and jumper but then I have to have a bright coat or a scarf! Superb photographs. Four seasons in a day the standard answer to Melbourne’s weather. So glad you deviated from black winter wardrobe. The Irish are hell bent on black in winter, so when I arrive I surely stood out amongst the crowd & for that matter still do. I own one pair of black leggings & that’s about it. 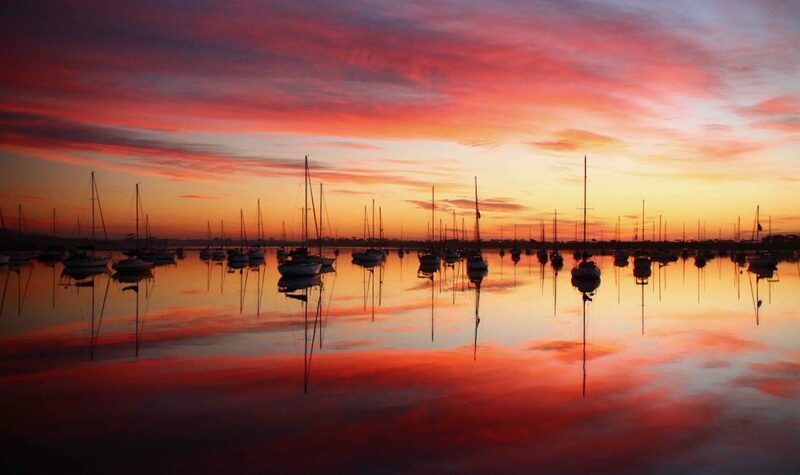 Enjoy your winter down under & keep posting those glorious photos!